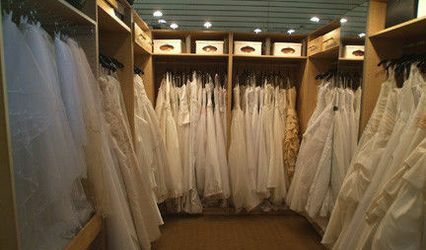 We have been an on line business since 1998, providing custom designed wedding gowns, maids, prom + other formal event attire and most other wedding needs. 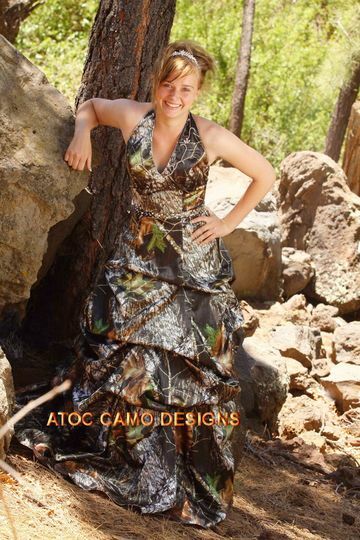 Choose traditional or camo accented styles and design your own, within your budget! YOU dream it...WE sew it! 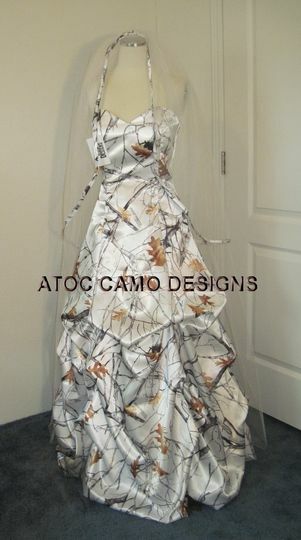 Our newest line: "ATOC CAMO DESIGNS" came out in 2011 with a variety of styles, for brides, bridesmaids and prom dresses. Also vests, ties, cummerbunds and pocket squares for guys of all ages. This line has wedding gowns that are traditional styles in either white or ivory satin, with or without camouflage accents on them. 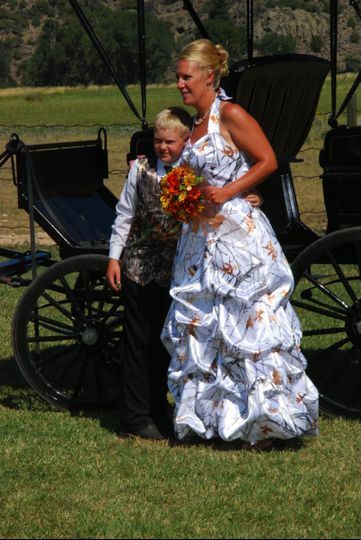 They can be custom designed by the bride. 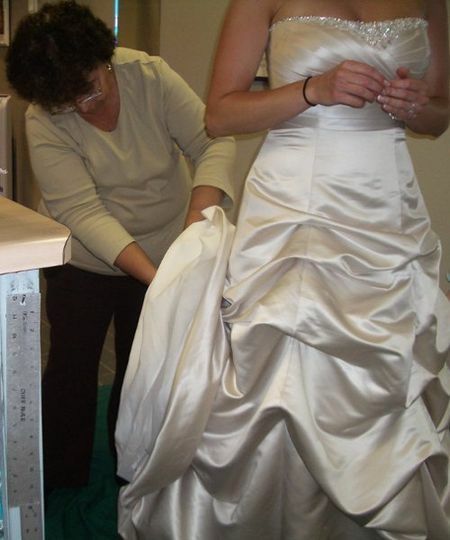 The wedding gowns can be made to the bride’s measurements as well, so are truely a custom wedding gown. Many are MADE IN THE USA!! Our designs that are traditionally hand beaded and embroidered with camo accents on them, are sewn at our overseas factory. There IS no factory in the USA that does hand beading and embroidery on satin! 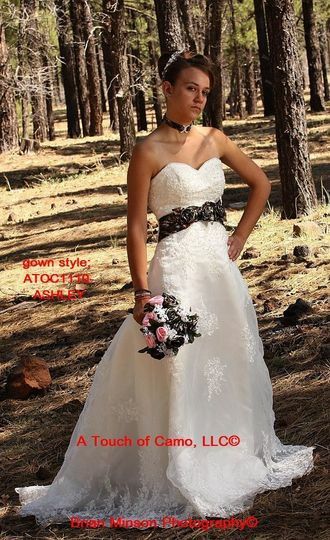 We currently have about 20 wedding gown styles and over 45 styles that are suitable for bridesmaids, proms, informal bridal or other formal events. All of these gowns are priced no higher than prices found in local shops, and in many cases will be even less!! Style is DUTTON. 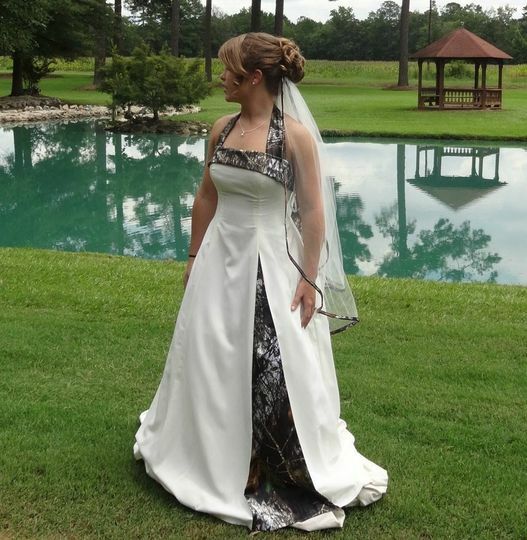 Shown in white and mossy oak camo accent on gown and veil edging. They were absolutely amazing. The dress I fell in love with was recently discontinued so they contacted the designer for me and got it made special for me and didn't charge me anything extra for the service. I got my perfect dress on time and exactly the way I wanted it. and it was at a great price. Joanne was wonderful to work with and she definitely helped me find the wedding dress of my dreams! 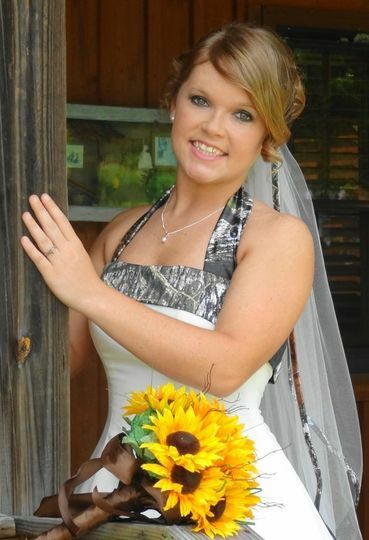 I would recommend White Lace and Promises to anyone getting married! JoAnne was an absolute pleasure to work with. I actually found her website by mistake, but as the old saying goes: everything happens for a reason. I was engaged for a year and 8 months before I got married, and the long engagement afforded me the time to research everything and find the best deals. Not only did White Lace and Promises provide me the best price on both my dress and my bridesmaid dresses, she saved me almost $1,000 overall! Since we are a few thousand miles away, we did everything over the phone and e-mail. JoAnne always got back to me right away, and the entire process was simple! She truly went above and beyond to make me happy, and I can honestly say purchasing my dresses was one of the least stressful transactions of the wedding. For any bride-to-be, my one piece of advice would be to work with White Lace and Promises. Not only are they an extremely professional organization, JoAnne is now my friend. I have been happily married for almost 6 months, and we still keep in touch! 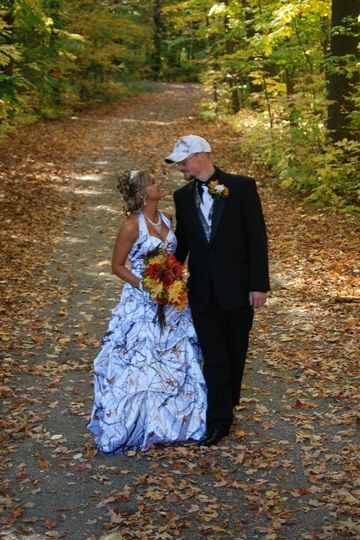 Mention Wedding Wire before you place an order, and get 20% off any attire, invitations or photography. 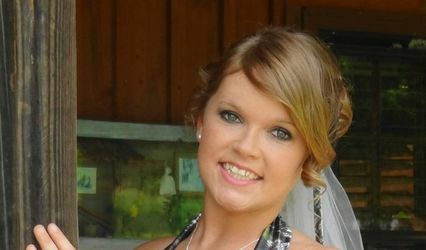 Photography applies only to local brides unless you also want to pay travel costs for two of us. This offer cannot be combined with discounts or coupons found in other advertising or promised to you verbally as when we do a custom gown quote. In other words, we can only afford to discount one time per sale...so if we've offered a discount verbally, we cannot add another 20% on top of that first offer.